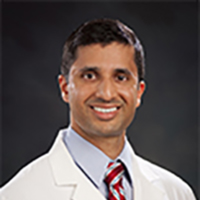 Dr. Girish Rao is a board certified internist. Originally from Potomac, Maryland, he earned his undergraduate degree in Public Health Studies from Johns Hopkins University and pursued a Master of Health Sciences degree in Biochemistry and Molecular Biology from the Johns Hopkins Bloomberg School of Public Health. He went on to receive his Medical Degree from St. George's University School of Medicine. Dr. Rao completed his internship and residency in Internal Medicine at Cooper University Hospital in Camden, New Jersey, where he served both as a Chief Resident and a member of the hospital's Graduate Medical Education committee. Dr. Rao currently specializes in caring for the adult population, and has a special interest in the management of diabetes, hypertension (high blood pressure), and high cholesterol. He emphasizes the model of 'Preventive Medicine' by utilizing age-and-gender-appropriate screening tools to detect and treat early signs of disease. Additionally, Dr. Rao is well versed in treating common adult ailments seen in internal medical care. He works collaboratively with specialists, when necessary, to provide the highest level of care to his patients. Dr. Rao strongly encourages his patients to serve as active participants in their healthcare at whatever level they feel comfortable, and provides them with the knowledge they need to make well-informed decisions for their future. In his spare time, Dr. Rao enjoys playing tennis, listening to music, and spending time with his friends and family.